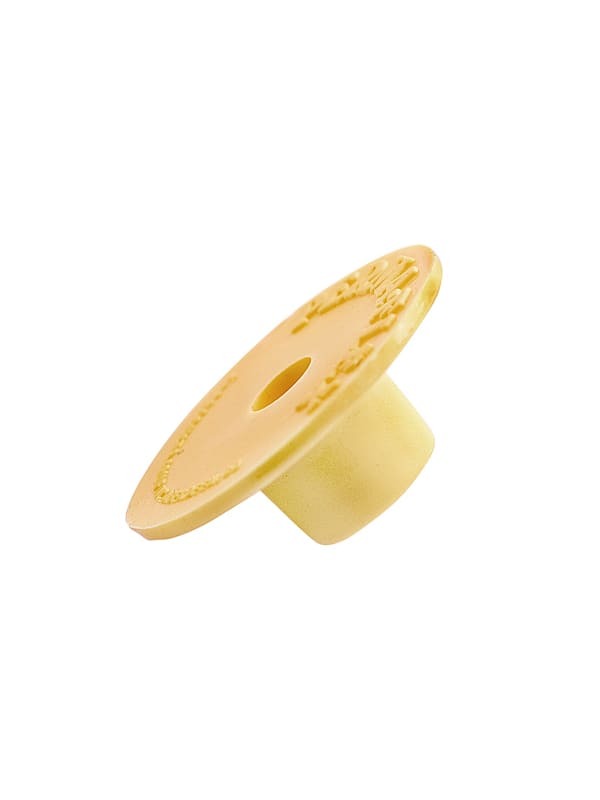 Small round buttons are most commonly used in conjunction with our hog tags as the back anchor. Buttons may also be used with Daisy or Standard studs if a larger visual tag is not required. The Perma-Flex small round button acts as the anchor to the standard stud, daisy stud, sheep studs or the hog tags.